This page features a free printable google Map Of Rhode Island. 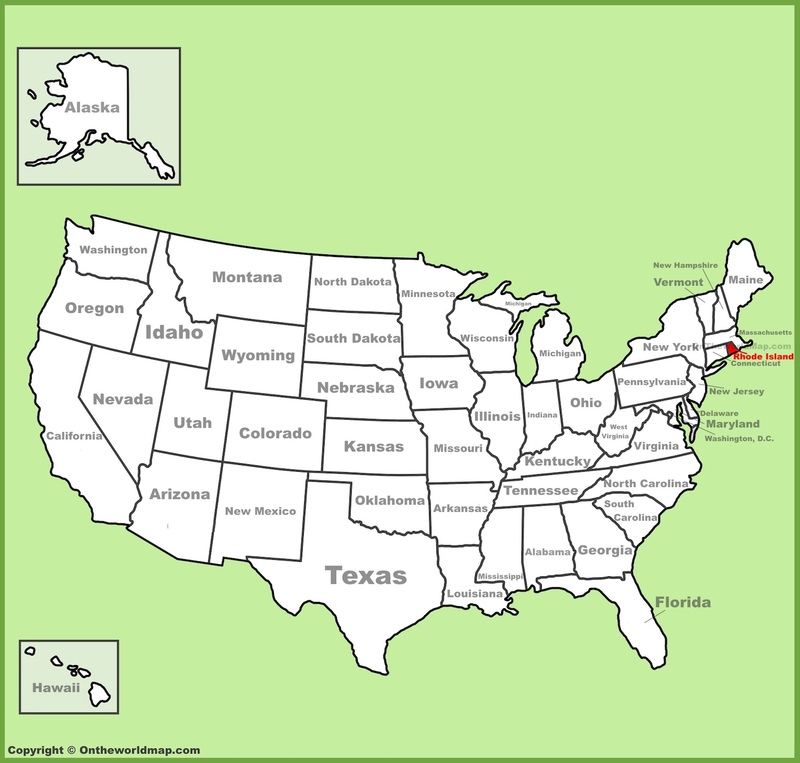 The above US map shows the location of the state of Rhode Island in relation to other US states. On May 29th of 1790, Rhode Island became the 13th of 50 states admitted to the Union. Rhode Island was the last of the original 13 colonies. 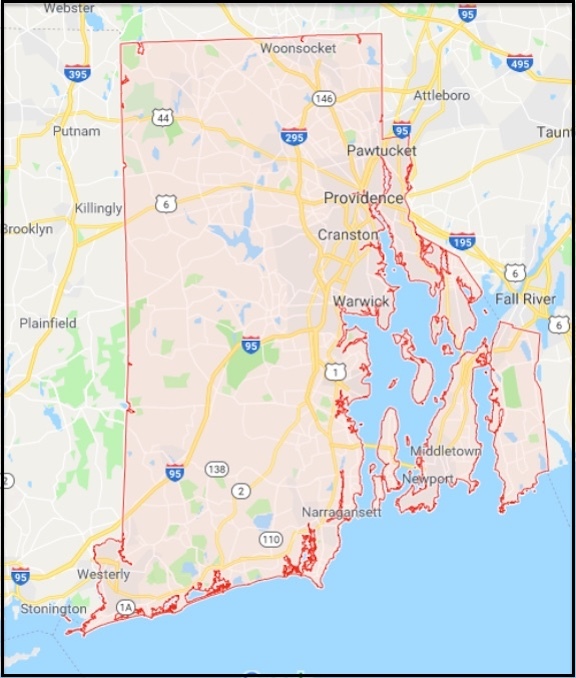 Scroll down to see a Rhode Island map, along with the Top 10 Fascinating Facts about the state of Rhode Island. Rhode Island is America's smallest state, with a land area of just over 1,200 square miles. Rhode Island has its own style of clam chowder, featuring a clearer broth. Another popular culinary delight from Rhode Island is Coffee Milk. Rhode Island governor Ambrose Burnside is responsible for the popularity of sideburns, not to mention the name. On the roof of a pest control building in Providence, you can find the world's largest bug sculpture - a termite named Nibbles Woodaway. Nibbles is 58 feet long and weighs 2 tons. A magnetic mineral called Cumberlandite is only found in Cumberland, Rhode Island. Saint Anne's Roman Catholic Church in Woonsocket is fashioned after the Sistine Chapel. Local churchgoers were used as models for the many fresco paintings on display. Rhode Island artist Gilbert Stuart is responsible for the portrait of George Washington featured on the US dollar bill. In 1790, Samuel Slater invented the first water powered cotton mill in Rhode Island. He is often credited with starting the industrial revolution. The town of Portsmouth, Rhode Island was established in 1640 by a woman named Anne Hutchinson. Above: A Google Map Of Rhode Island.